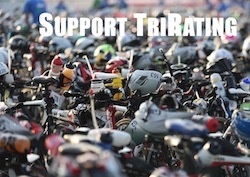 Ironman Austria is usually a fast course – a lot of sub-8 and sub-9 times have been posted in Klagenfurt. This year conditions seem to have been quite slow: An adjustment of 9:59 is still quick but a lot slower than the course rating of 20:28. None of the legs have been quite distinct, conditions were slower across all three legs. 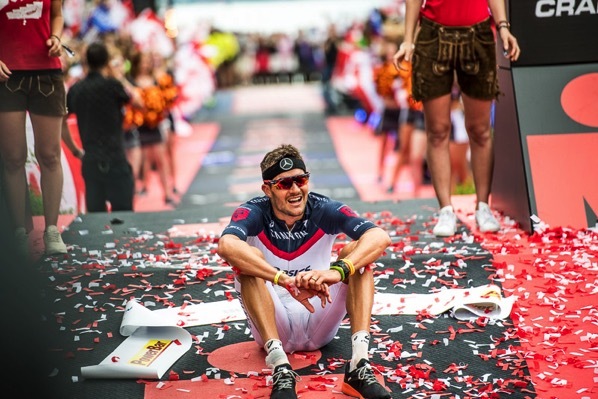 There was no doubt at all who would win this race: Jan Frodeno took control of the race from the start and posted the fastest times across all three legs. A virus infection close to the race probably kept him from racing any faster – nonetheless he still validated his Kona ticket, finished in sub-8 and won by more than 15 minutes. Clearly, he had given his best on race day. Second place went to Spaniard Eneko Llanos who finally managed to run well again – a 2:47 was the fastest marathon for him since winning IM Germany in 2013. Viktor Zyemtsev finished third. Michelle Vesterby was leading the race for a long time after posting the fastest swim and bike legs, but she struggled with a 3:17 run still finishing in third place. 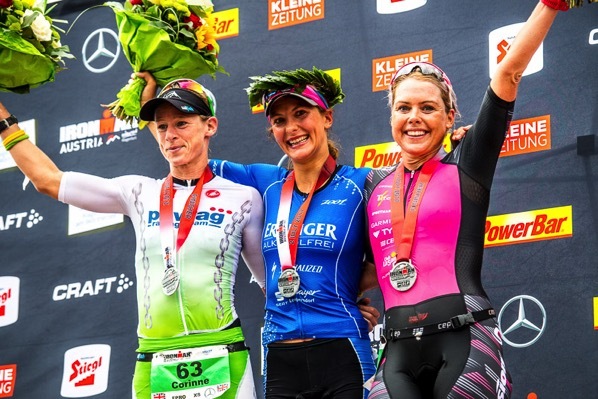 Eva Wutti won her comeback Ironman race after the birth of daughter Kiana, she ran a 2:57 to take the lead from Michelle but had to run strong until the end to hold off Corinne Abraham, who finished less than two minutes behind Eva in second. Jan Frodeno validated his Kona slot. David Please improved his position, he’s now the best placed athlete “on the bubble”. Ivan Rana didn’t have a good race, with his 15th place he is now “on the bubble” as well. Corinne Abraham also improved her position, but at 4.400 she is just above my projected cutoff (and on the bubble). It’s too early to tell if she’ll receive a slot. Michelle Vesterby was already safe before Austria.